Ready to Invest In Lee County?? 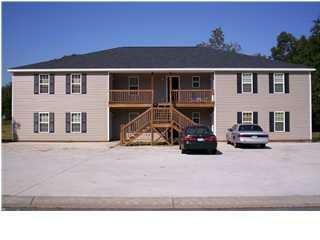 This great SIXPLEX in growing Lee county will not last long! Great tenants, always occupied, just built in 2005, great Lee County schools, convienant to new Publix and the bypass! 4 units are 3bedroom 2 bath and 2 units are 2 bedroom 2 bath. 3 bedroom units rent for 625.00 per month and 2 bedrooms rent for 575.00 per month= $3650 per month income! Fenced in yards, covered porches and balconies, master suite w walk in closet and private bathroom, open kitchen floor plan! Priced at under appraised value! Make an appointment to view this great Investment! Make An Offer!